Yes, the Machines Are Coming--But We Can Outsmart Them. Here's How. As technology advances, many jobs will go away while others rise up and take their place. Problem is, our current higher education system is not helping young people develop the skills they will need to thrive in tomorrow's workforce. Danny Iny reveals what we can do about it. Washington, D.C. - Lately there's been lots of fearful speculation about machines putting people out of work. An oft-quoted 2013 Oxford University whitepaper forecasts that 47 percent of jobs could be lost to technology over the next 20 years. Scary, if you don't like change (and who does?). 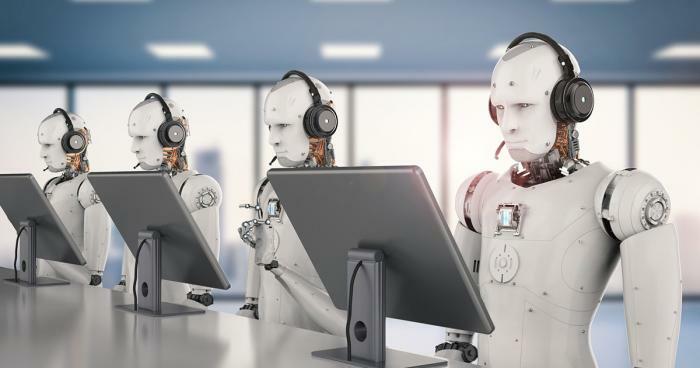 The good news is there are some things machines can't do as well as humans (or at all)--critical thinking, the ability to innovate and solve problems, the ability to communicate, collaborate, and practice other "soft skills"--and it's possible to systematically learn them. But Danny Iny says there's also some bad news: Our colleges aren't teaching these skills. "If higher education exists to train tomorrow's workforce, it's failing woefully," says Iny, author of Leveraged Learning: How the Disruption of Education Helps Lifelong Learners and Experts with Something to Teach (Ideapress Publishing, October 2018, ISBN: 978-1-940-85869-2, $24.95) and CEO of the online business education company Mirasee. "Colleges are good at imparting raw knowledge, but they're not helping students master the skills employers are looking for in new hires. Nor are they instilling desirable traits like work ethic and resilience." Here's the bottom line: If our workforce is to be disrupted, so must our education system. And that has huge implications for everyone from students to educators to industry leaders. Once the education bubble bursts, Iny believes our current post-high school path will change dramatically. He predicts it will be replaced by a lifelong path that begins with one or two years of foundational and niche-focused "last mile" education--either taken separately or bundled together--with four more years of continuing education spread over the rest of our careers. "Top universities will likely play a role in this future education system, though they may consolidate," predicts Iny. "Staffing firms may join them. And the third player in this disruption will be comprised of the vast numbers of experts on the front lines of their respective fields." Think very carefully before investing in a traditional four-year college. It's incredibly expensive, leaves students burdened with crushing debt loads, and certainly doesn't guarantee a great job in one's field. (According to the U.S. Census Bureau (June 2018 report), while only 3.7 percent of recent college grads age 22-27 are unemployed, a whopping 42.2 percent are underemployed.) The good news is there are tons of alternatives you may not have considered. "You could choose a hybrid program like the one offered by Minerva Schools at KGI," says Iny. "You could do free work to gain experience or look for internships and apprenticeships. Or if you're set on going to a four-year college, you could start at a community college to get the first half of your education for a much better price." If you do go to college, deliberately work to master the skills employers care about. Iny says that in an ideal world, the most desirable workforce skills--critical thinking, creativity, and fortitude (a.k.a. grit: the tendency not to give up when you hit roadblocks)--would be honed in the classroom. In most traditional college classes, this is not the case, but Iny says students can and should take steps to develop these qualities on their own. Parents, work to develop emotional intelligence, soft skills, and "grit" in your kids. In a world where computers and smart robots can do most tasks--and where knowledge is just a Google search away--it's no wonder employers now place a premium on the skills technology can't do. Employees who can innovate, communicate, and work well in teams are and will continue to be in high demand. So get purposeful about instilling these qualities in your kids. "For example, have safe, meaningful conversations with kids on a regular basis to help them develop emotional intelligence," suggests Iny. "Talk about how important it is to notice how other people are feeling and modify one's behavior accordingly. As for fostering grit and resilience, hold kids to commitments even if they don't feel like keeping them. Even fun activities like going on tough hikes together can help them develop fortitude." Stay as active and involved in your field of expertise as possible. As a teacher and expert, your imperative is to stay current in your field, empower your students, and be well rewarded in the process. Read the news and the journals, follow the thought leaders, and do the occasional project or two. Without ongoing exposure, it's just a matter of time until you get left behind. Don't stop at knowledge. Layer insight and fortitude into your curriculum, and teach your students how to get where they need to go, with the 4 Cs identified by the Partnership for 21st Century Skills: critical thinking, communication, collaboration, and creativity.2 It can be a tightrope act to strike the balance between giving students everything they need, but not so much that they need not ask questions or reach their own conclusions. Find or create an environment that gives you freedom to innovate--whether that means teaching elsewhere or putting out your own shingle as an educator entrepreneur. If you choose the latter, Iny says a good place to start is one of the Course Building Bootcamps offered by his company, Mirasee. Stop perpetuating the "degree as table stakes" myth. Take a hard look at what really leads to success and performance, recognizing that university degrees aren't the key, and revising your job postings to reflect the stuff that actually matters. You won't be the first in doing so; in 2015 Ernst & Young professional services in the United Kingdom removed degree classification from its hiring criteria, citing a lack of evidence that university success correlated with job performance. 3 Similarly, Laszlo Bock, former head of people operations at Google, went on record saying that grades in degree programs are "worthless as a criteria for hiring"
4--and currently as much as 14 percent of employees on some Google teams never attended college. 5 Make sure your training is structured in a way that helps employees learn in the most effective way possible. Learning has three steps, says Iny: There's the consumption of ideas, there's the application of them (getting your hands dirty), and there's feedback around what's working and what's not. Most companies have traditionally focused on consumption in their training and will need to shift more toward application and feedback. This is where insight is developed. Also, it's important that your learning is designed to support fortitude, which is necessary if employees are to work through challenges and get to where they want to go. Explore how you can leverage existing expert talent within your organization to cultivate other employees. These days it's crucial to create and nurture a culture of constant learning and growth inside your company. It's the only way you'll be able to keep up with the technological, economic, and consumer behavior changes that continuously disrupt industries. The good news is there may be people already on staff who can share their expertise with others--as long as you have a good training framework in place that makes it easy for them to transfer their skills and best practices. "The human mind and spirit can do amazing things when they're properly educated and set free in a workplace that values ongoing learning and growth," notes Iny. "No machine can replicate our ability to connect and create. But we all need to rethink how we're educating the minds of tomorrow, so that we can contribute to and create a workforce that lives up to its potential." 1. "Failing to develop higher-order cognitive skills." In their 2011 book Academically Adrift, Arum and Roksa discuss how college students are failing to develop the higher-order cognitive skills that they need to succeed. 2. 4 Cs: Critical Thinking, Communication, Collaboration, and Creativity.These 21st Century Skills are highlighted in chapter 4 of Wojcicki and Izumi's Moonshots in Education. 3. Weak correlation between university success and job performance. This data is shared by Ryan Craig in chapter 3 of A New U. 4. "Grades are worthless as a criteria for hiring." As reported in a 2013 New York Times article 5. 14 percent of employees on some Google teams never attended college. As reported by Ryan Craig in chapter 3 of A New U. With technology taking over many jobs--not just predictable physical work but, increasingly, "knowledge" jobs like accounting, real estate, and even many tasks previously done by lawyers--certain higher-level skills are in high demand by employers. Skills like problem solving. Innovation. The ability to communicate, collaborate, and empathize. And as always, employers increasingly want candidates with grit and the strong work ethic that comes with it. HOW TO MASTER IT: Be selective when choosing both the college courses you take, as well as the instructors. Opt for smaller class sizes, discussion-based curriculum, and courses where you get to engage with the instructor (not teacher assistants) as much as possible. Choose courses that require engagement (far beyond attendance and turning in assignments) and test based on extended response versus single answer. Finally, make a habit of utilizing office hours with the instructor, by asking thoughtful questions and discussing topics that foster conversation. SKILL 2: CREATIVITY. Businesses want creative thinkers because it opens doors and fuels innovation. Keith Sawyer's book Zig Zag describes creativity as a process that starts with a small idea that cannot change the world on its own. Sawyer goes on to explain that in the creative life, you have small ideas every week, day, and even every hour. The essence of the creative process involves bringing those ideas together over time. 3 If you can harness that creativity, you will be valuable to the businesses of the future--but doing this requires incubation. "Remember that even the most creative people can't generate great ideas on command," says Iny. "The 'aha!' moment requires that the right stage be set, and that enough time be dedicated to the incubation of the eventual insight. Incubation is the time that creates the shell and context in which creativity can be cultivated." HOW TO MASTER IT: Not only should you consistently be planning, preparing, and working creatively on your various school projects, you should also schedule intentional time for the incubation of ideas. "The key here is to prepare well up front through research and understanding what the problem is," says Iny. "Then, it's crucial for you not to dive into final solutions too quickly. Sit with the problem for a while until you reach the eventual insight you need. Incubation can occur in a wide variety of ways, like scheduled fun or downtime, sports and exercise, or relaxing walks." SKILL 3: FORTITUDE. Merriam Webster defines fortitude as the strength of mind that enables a person to encounter danger or bear pain or adversity with courage. It may sound dramatic, but pain and adversity come in many forms: both in college and in the workplace. The point is that when faced with these roadblocks, some people quit while others continue striving. This ability to keep going is valuable to employers, who want workers who can think and problem-solve without giving up or asking a supervisor for help at every turn. "What's different about those who succeed both in college and in the workplace is that they possess certain non-cognitive capacities," says Iny. "These include motivation, perseverance, time management skills, work habits, and the ability to ask for feedback and support. These qualities make whatever intelligence we have useful and practical. It's not enough to be brilliant and work on a problem for five minutes, then give up. It's much better to be reasonably smart and keep trying new approaches after your first attempt stalls." HOW TO MASTER IT: There are a couple tools you can use to develop fortitude. The first is motivation. Think carefully to identify what intrinsically motivates you in terms of a major goal you have (such as attending all classes, graduating early, or losing some weight). Write down your motivations and revisit them daily or weekly to help you connect back to why you have this goal in the first place. Another helpful tool is mindfulness. This isn't mindfulness in the spiritual sense, says Iny. Instead, it is a mindfulness of your intentions, attention, and attitude around everything you say and do, and mindfulness around how your day goes (a model developed by Shauna Shapiro and Linda Carlson). 4 "A mindful learner is able to relate openly and flexibly to the diversity of experiences that come with learning new skills--taking in stride whatever problems, challenges, or feelings of 'stuckness' arise," writes Iny. "When faced with distractions, they think clearly about what really matters and what must be set aside." 1. Definition of Critical Thinking. This comes from CriticalThinking.org. 2. Critical thinking vs. degree. As noted in Minerva University's book Building the Intentional University, 93% of employers are more interested in their potential hires critical thinking skills than the presence of a university degree. 3. "Creativity is not mysterious." Keith Sawyer explains in his book Zig Zag that creative people lean on routine in their day-to-day that foster creative behavior and output. 4. Three elements of mindfulness. Psychologists Shauna Shapiro and Linda Carlson discuss their three mechanisms of mindfulness in a research article printed in the Journal of Clinical Psychology in 2006. 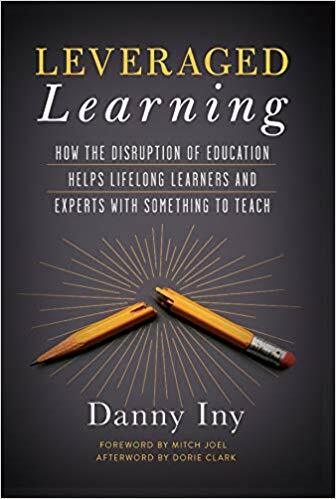 About the Author: Danny Iny is the author of Leveraged Learning: How the Disruption of Education Helps Lifelong Learners and Experts with Something to Teach. He is a lifelong entrepreneur, best-selling author, and CEO of the online business education company Mirasee. Best known for his value-driven approach to business, his nine published books include Engagement from Scratch!, The Audience Revolution, and two editions of Teach and Grow Rich. Danny's work is followed by over 100,000 experts and professionals across various outreach channels (email, social media, blog, column on Inc.com, etc. ), and over the course of 2015, 2016, and 2017, they've invested over $10 million toward training on the Leveraged Learning opportunity through his books and acclaimed courses, such as the Course Builder's Laboratory. For more information, please visit www.mirasee.com. About the Book: Leveraged Learning: How the Disruption of Education Helps Lifelong Learners and Experts with Something to Teach (Ideapress Publishing, October 2018, ISBN: 978-1-940-85869-2, $24.95) is available from major online booksellers.